"I think that more Knights are made on the school-ground than on the battle field." 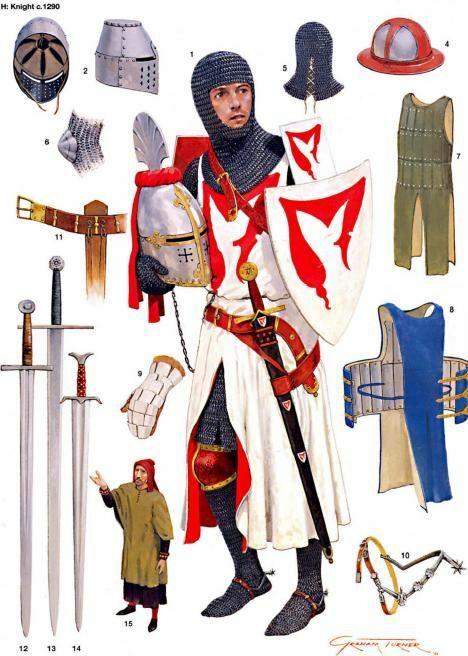 I am interested in putting together a kit and begin reenacting as a Medieval knight. I am wanting to focus on late 13th and early 14th century Ireland, probably during the Bruce invasion. I am not new to reenacting as I am currently the First Sergeant for a Union Civil War unit. I am currently going back to college to get my bachelors in history and my focus will be Medieval history. History has always been a major interest of mine, and I am hoping to change careers upon the completion of my degree. I have always been interested by the knights and castles of the Medieval Age and look forward to this journey. Welcome to the community. I look forward to your thoughts and contributions. Hey there. Some of us newbies aren't experienced in reenactment at all, so don't be shy about sharing tips and advice! Matthew, the biggest thing that I can say is do your research into whatever period you're looking at. Authenticity is key, but at the same time don't break the bank. I watched a YouTube video that Sir Ian did on his channel (Knyght Errant) where he goes over his soft kit. I liked what he had to say about not overlooking the basics first. A lot of people will go straight for the weapons and armor, but your everyday gear is going to be the key stuff to get first in my opinion. If your kit is going to be late 13th- early 14th, The armor you should be looking for is this. That is; covered in mail armor from head to toe, then a coat of plates, knee and elbow caps, cuisses, and the shoulder decoration known as ailettes. As well as a Dargen, Madeln, or Sugarloaf style bucket helm. I would also recomend starting with a soft kit first, basic clothing, then padded armor, then steel armor. Naythan, thank you. That helps me a lot. I have started to look into soft kits and will be making my first purchase here in the next month or so. Thank you for the solid advice. No one has ever been steered wrong by being directed to Sir Ian's channel! The man is a veritable library in his own right. Page created in 0.52 seconds with 24 queries.